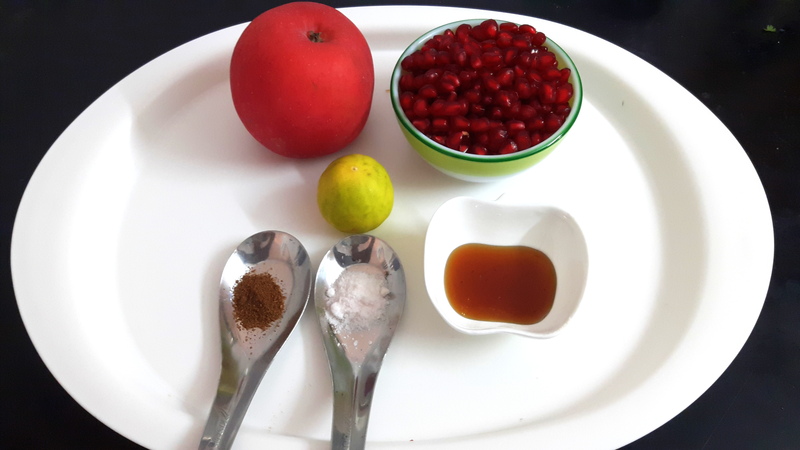 Remove pomegranate areal, keep aside. 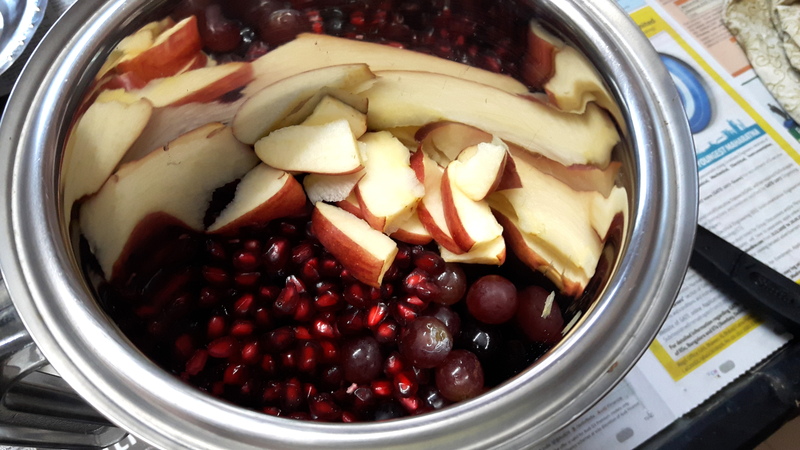 Core and cut the apple. 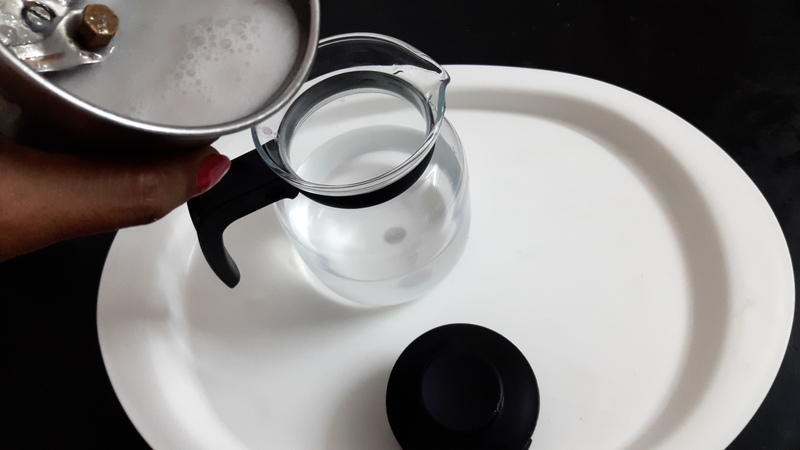 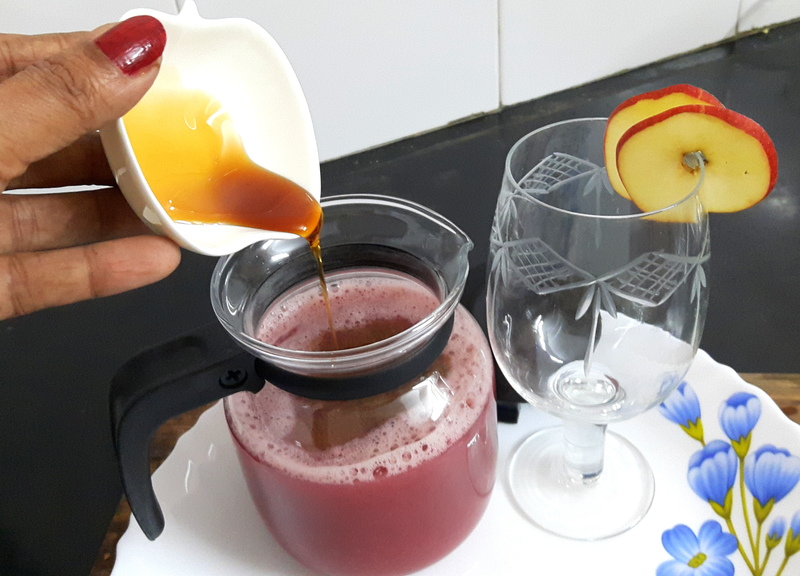 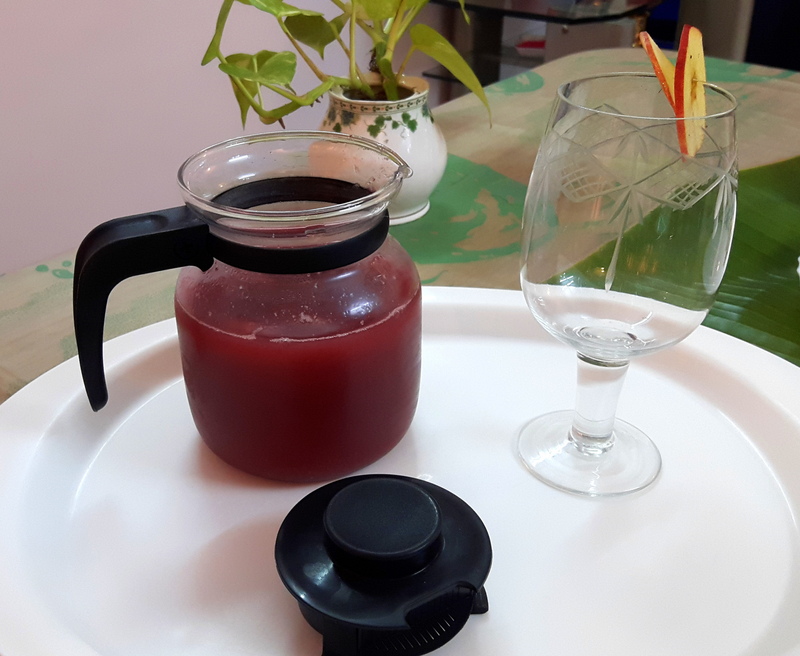 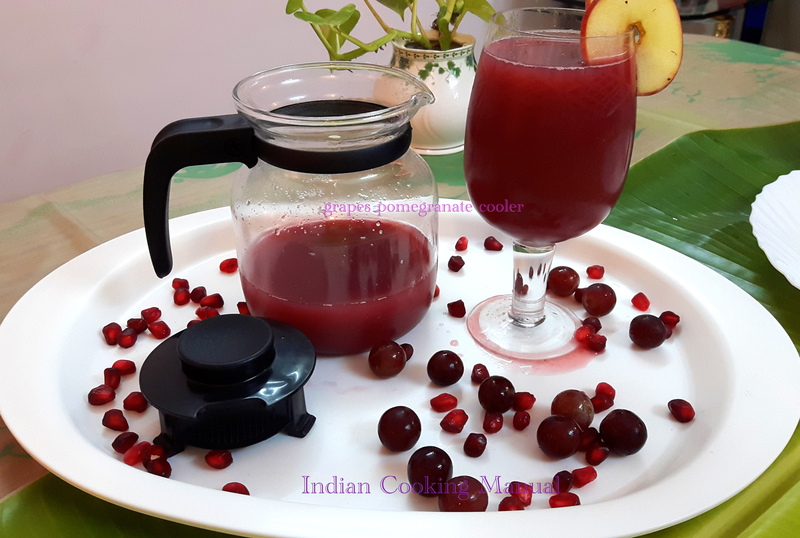 Put pomegranate areal, grapes and apple pieces into blending jar along with ice cubes/ a glass of water, blend it on high speed for a minute, sieve the mixture and collect the juice in a jar. 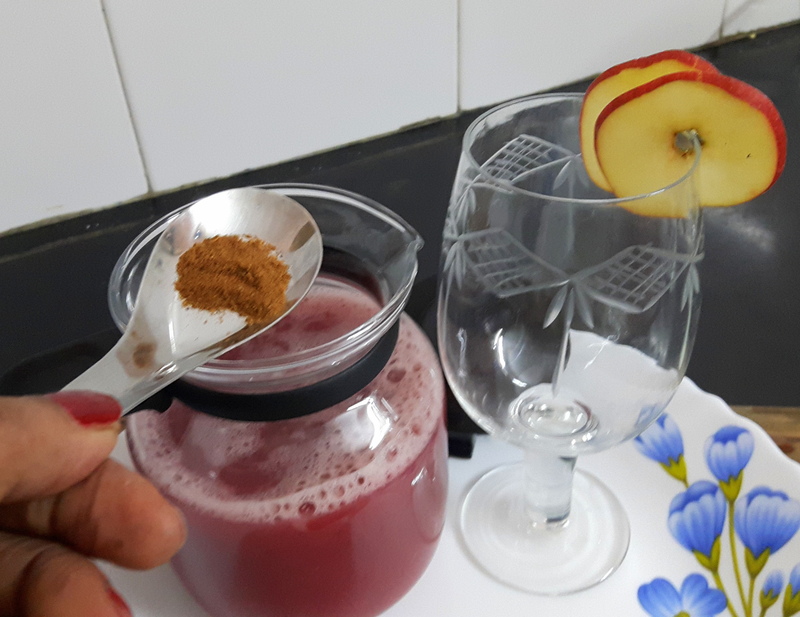 Add Sendha namak, cumin powder & honey ,stir well. 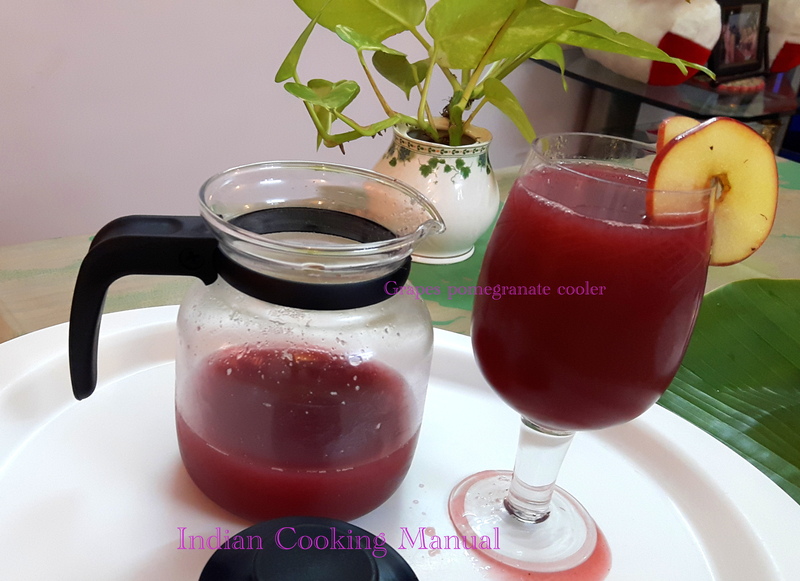 Grapes pomegranate cooler is ready to serve. 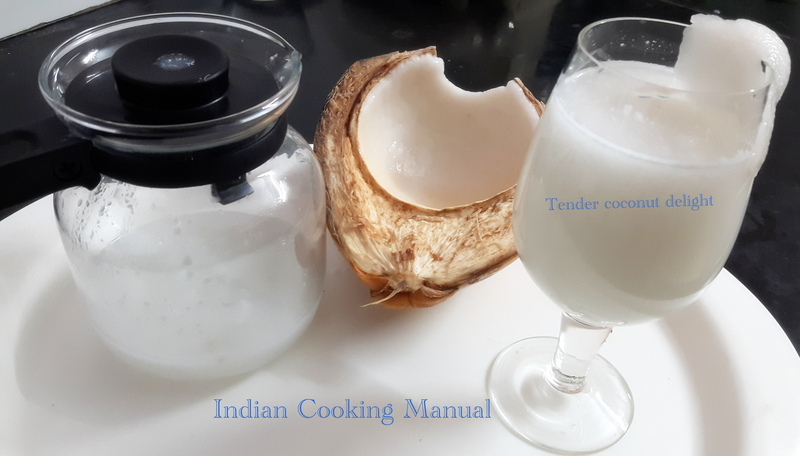 Tender coconut with pulp: 1 no. 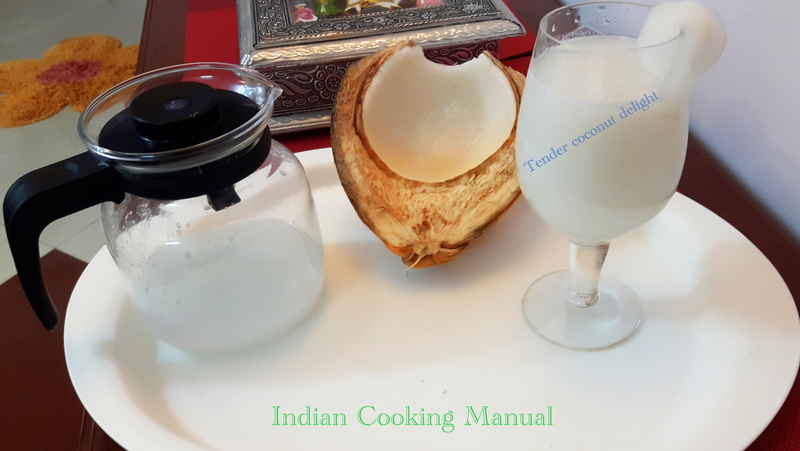 Collect pulp of tender coconut with spoon, keep aside. 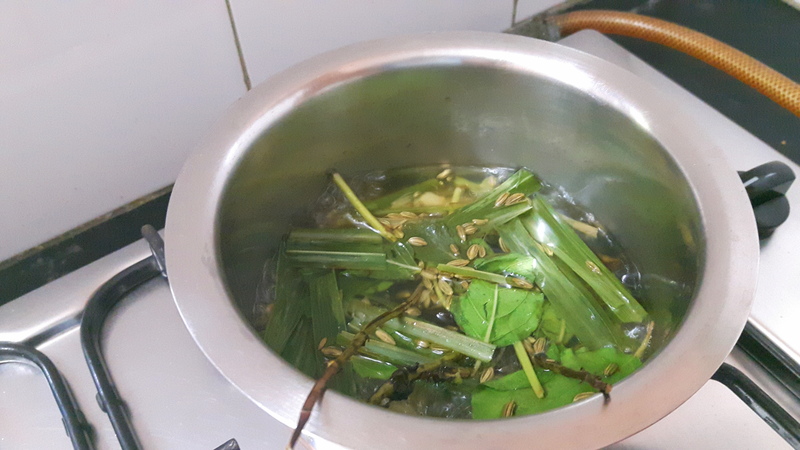 Peel off green cardamom and pound it, keep aside. 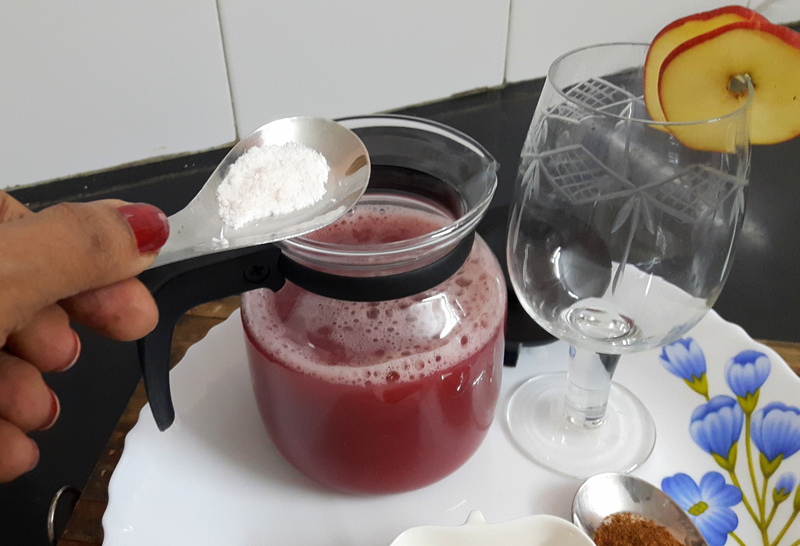 Put all ingredients into mixer, blend it, and serve into glass. 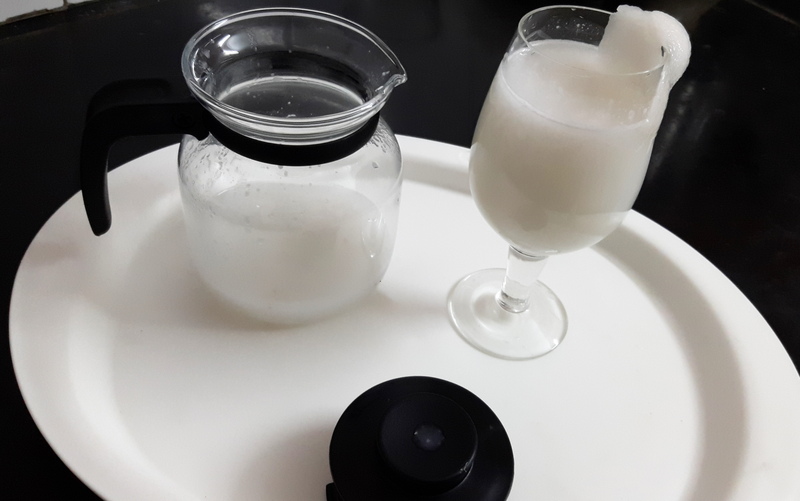 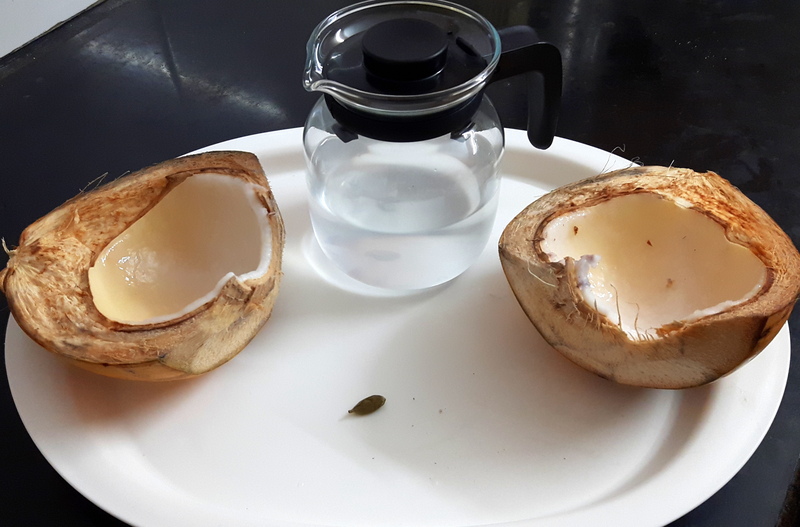 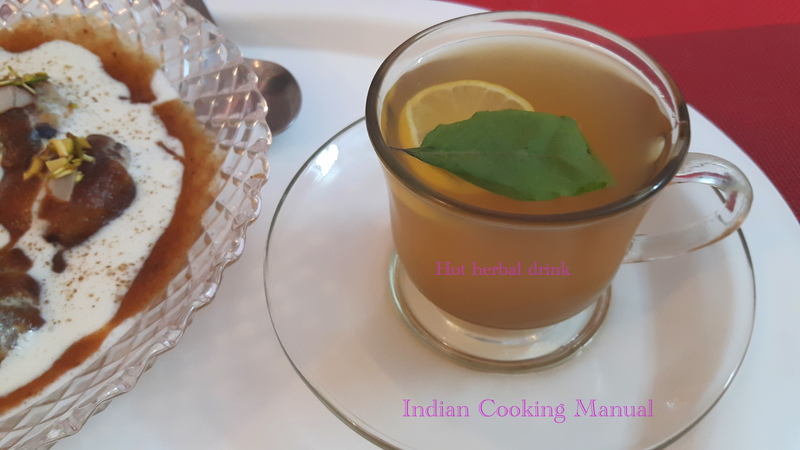 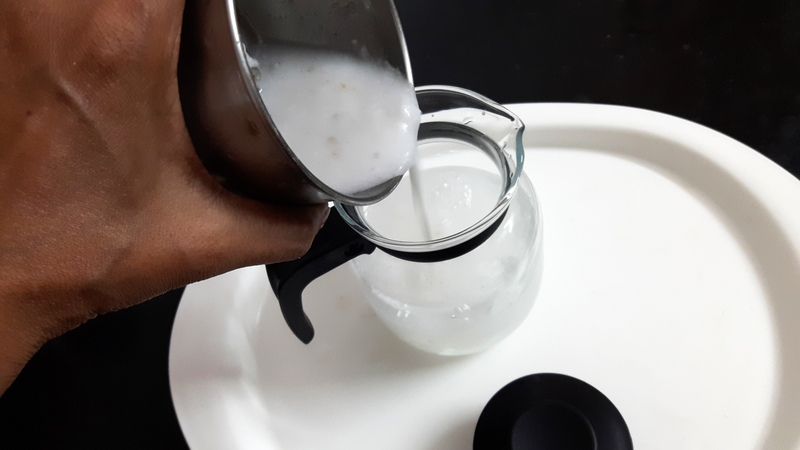 Tender coconut with malai delight is ready to drink. 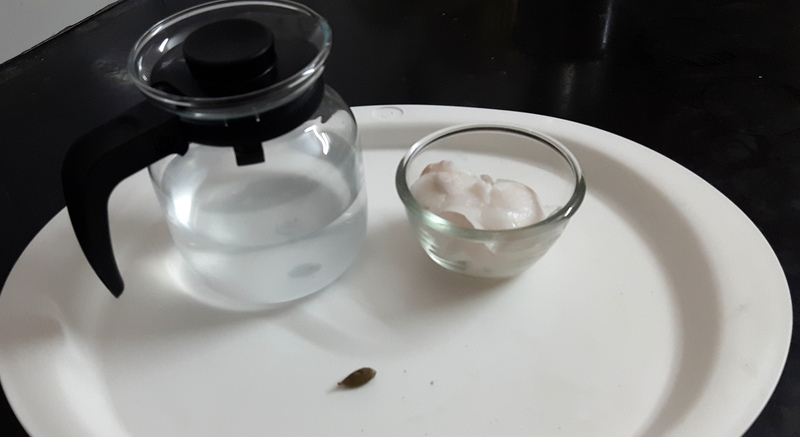 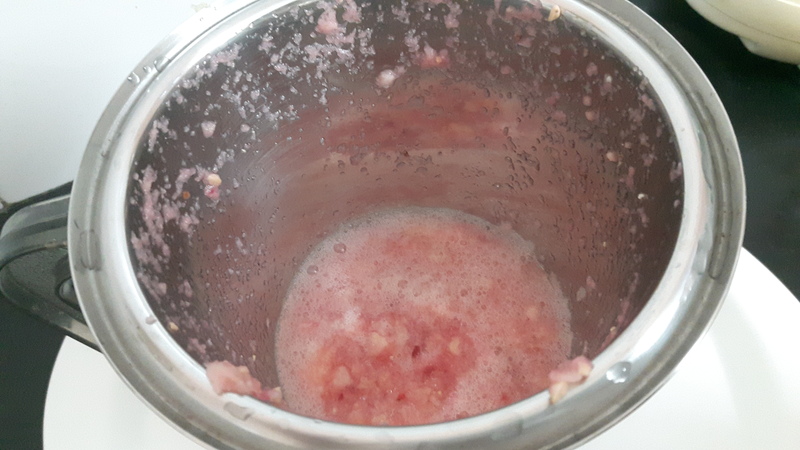 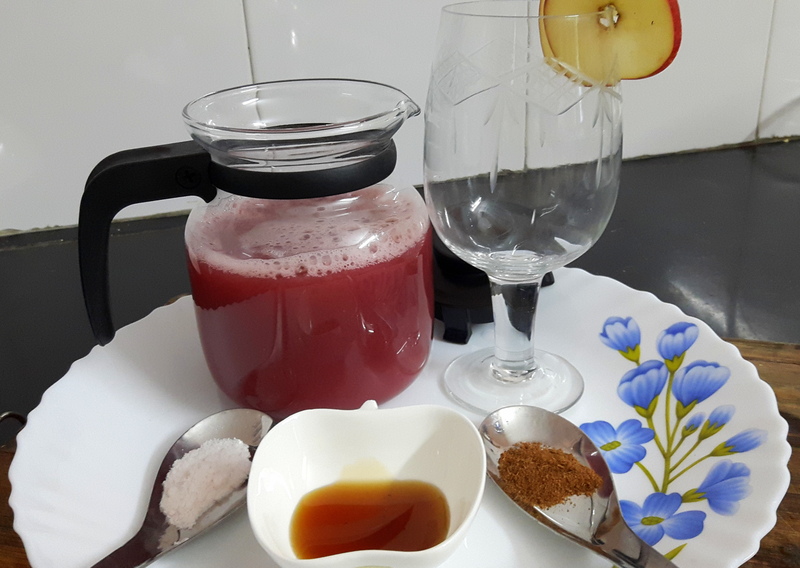 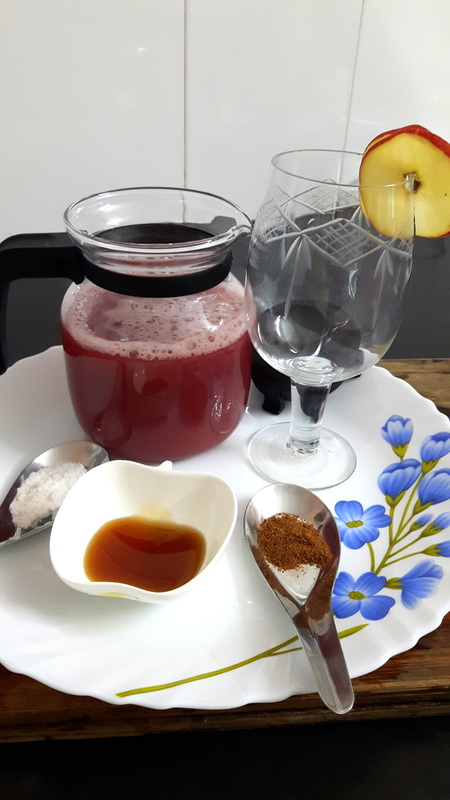 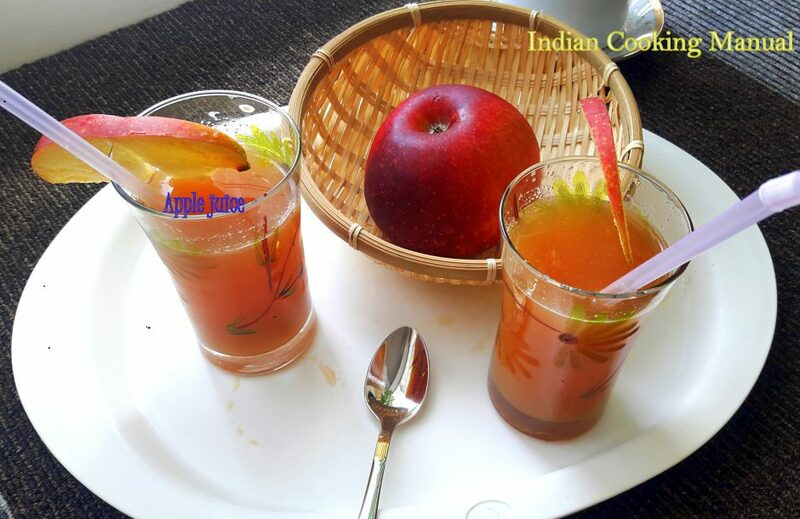 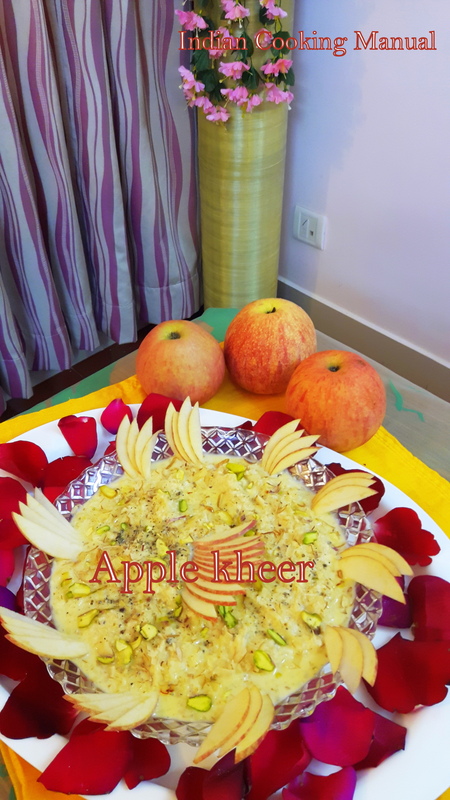 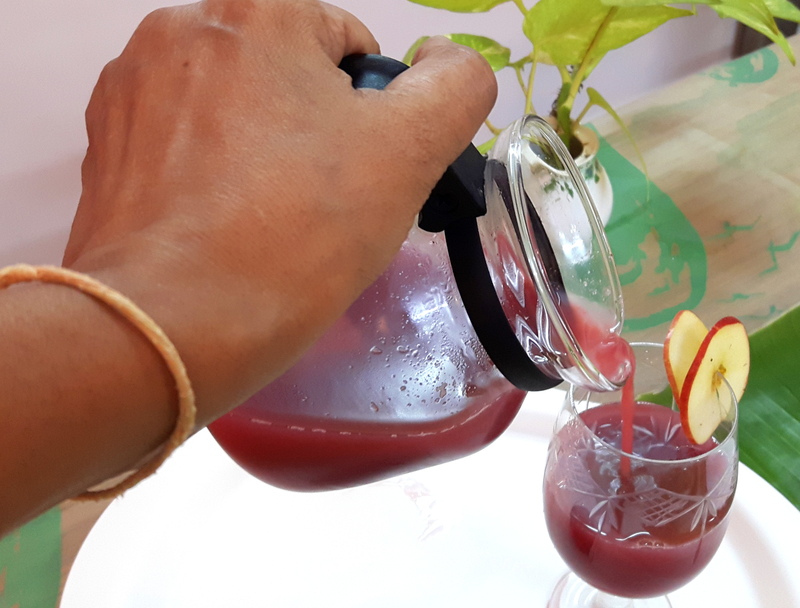 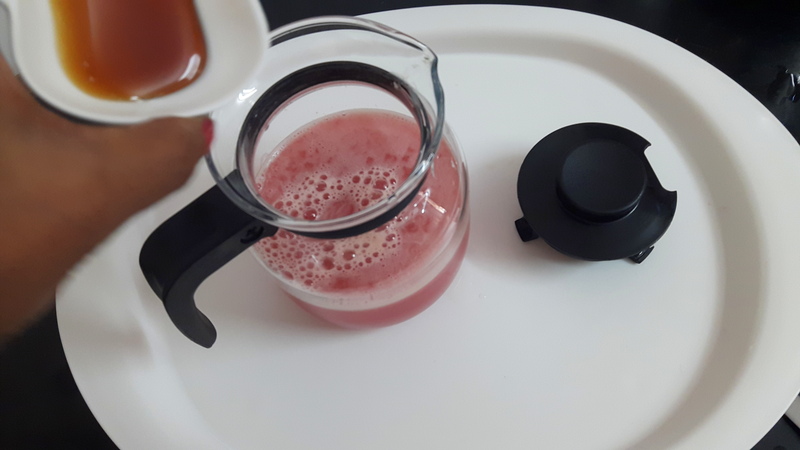 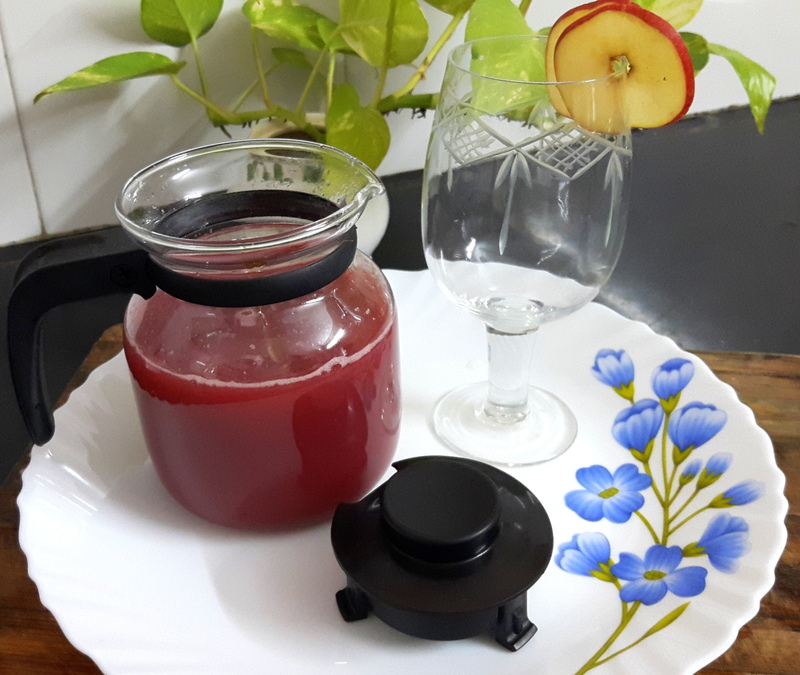 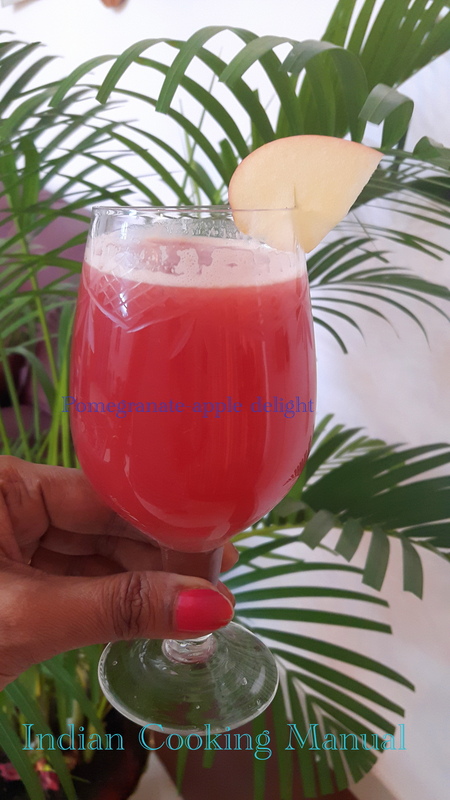 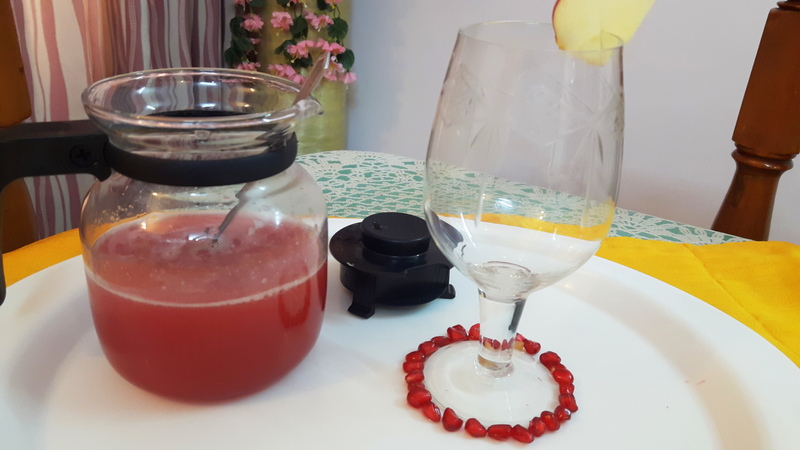 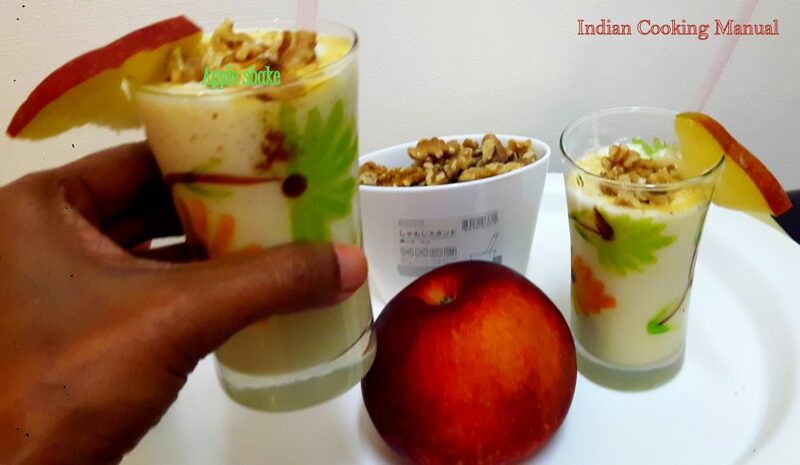 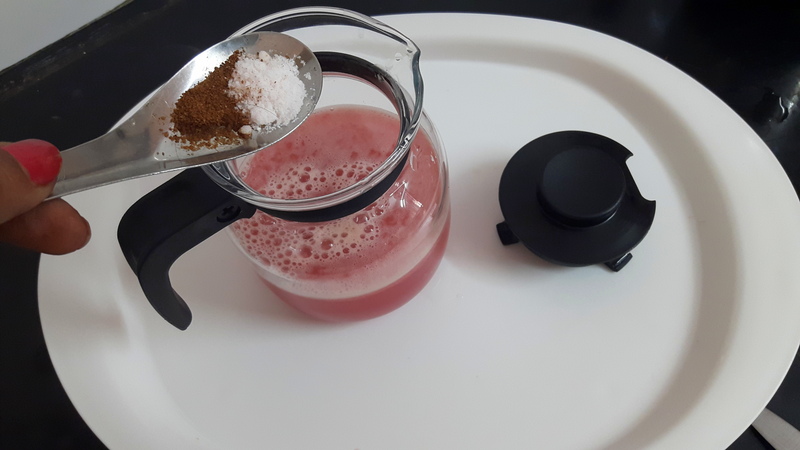 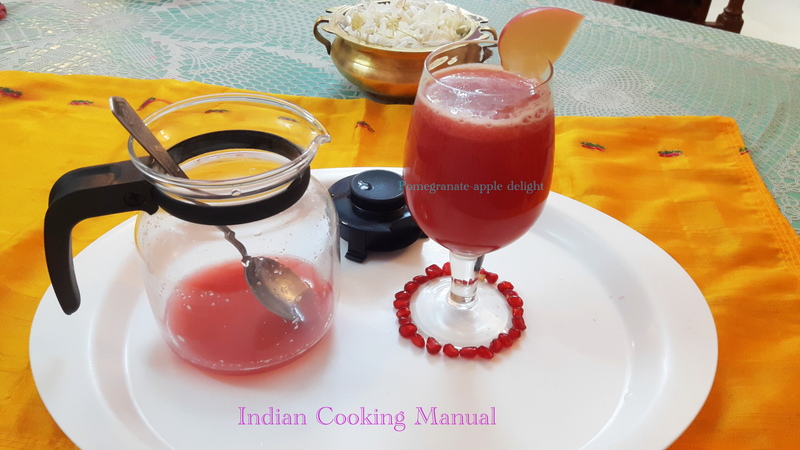 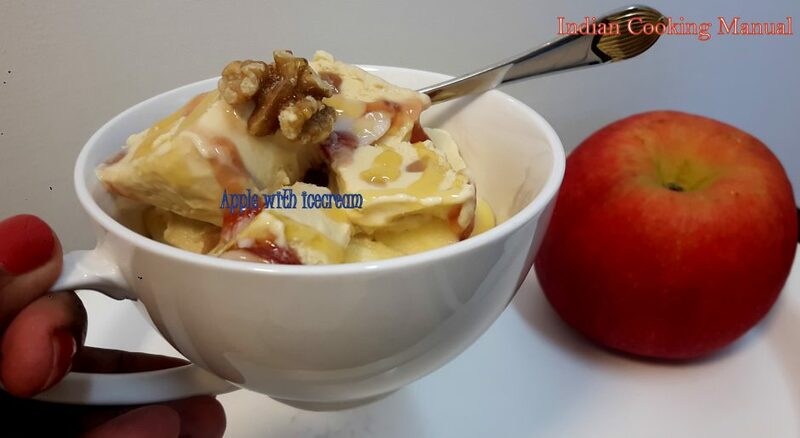 Put pomegranate areal and apple pieces into blending jar along with ice cubes/ a glass of water, blend it on high speed for a minute, sieve the mixture and collect the juice in a jar. 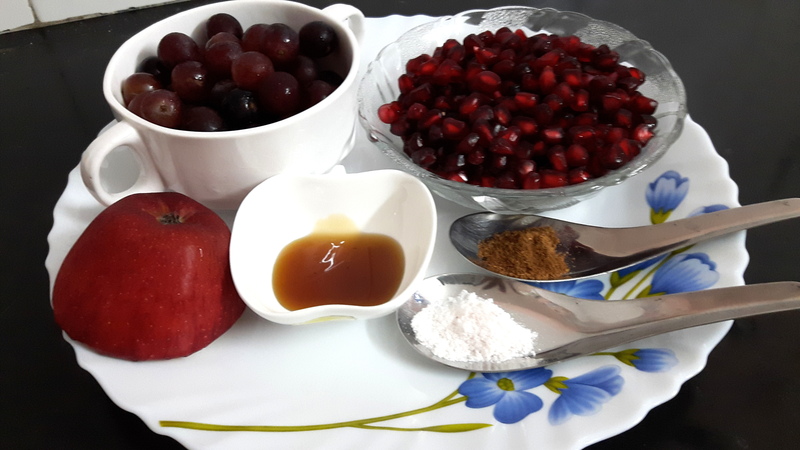 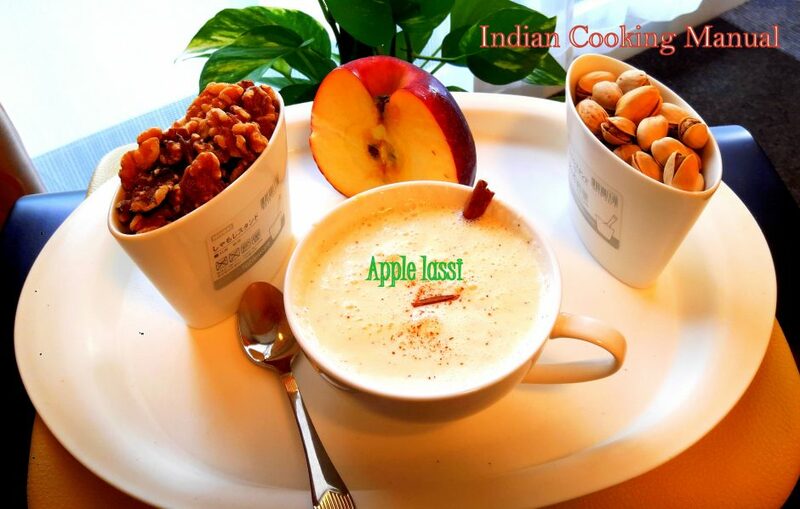 Add Sendha namak & honey and serve. 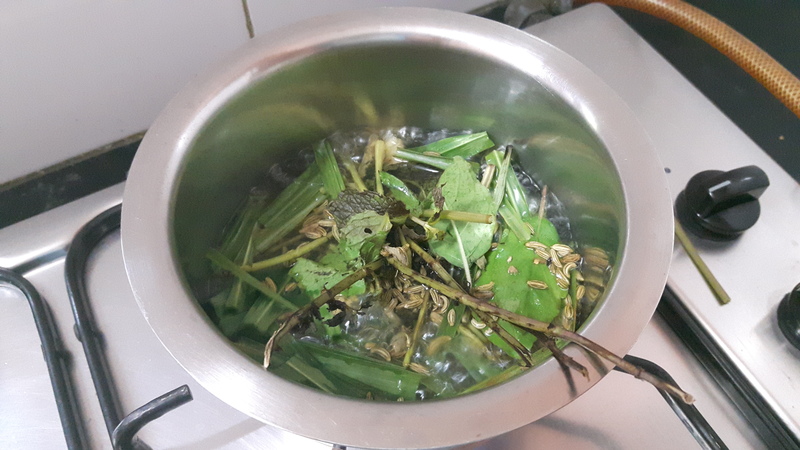 Clean all the leaves, keep aside. 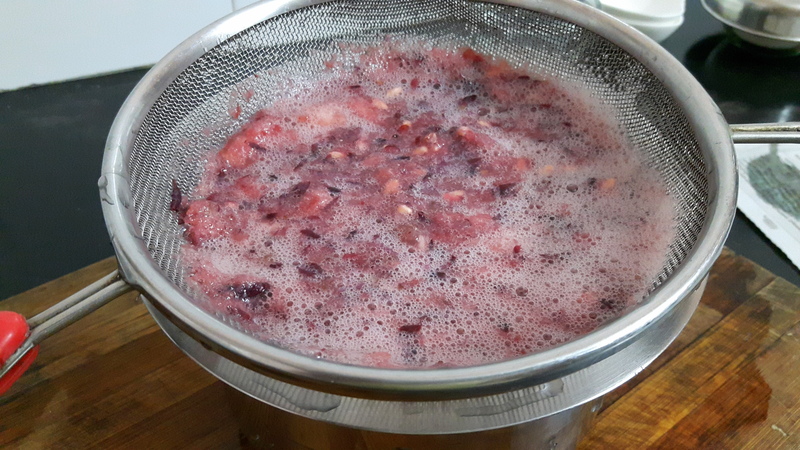 Crush the ginger into motor and pestle, keep aside. 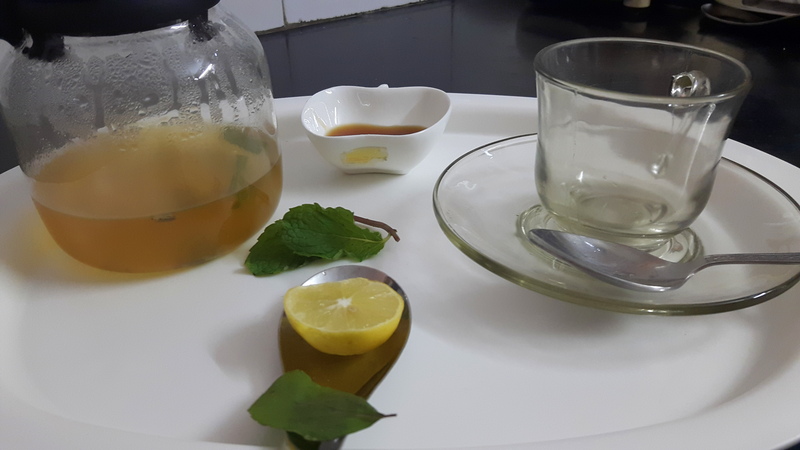 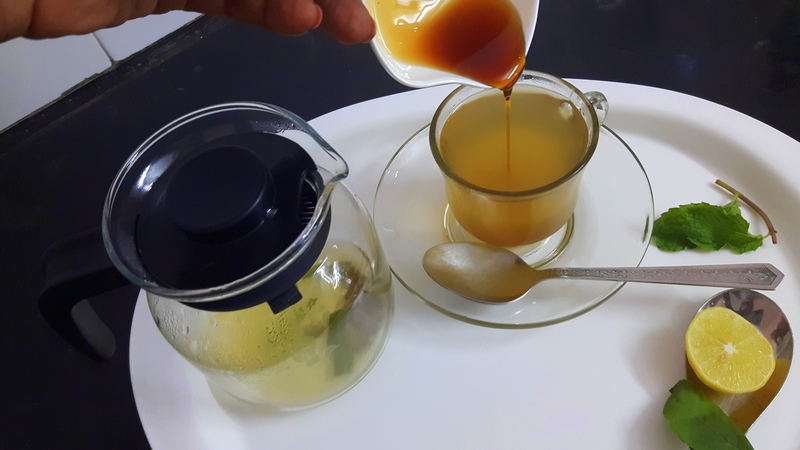 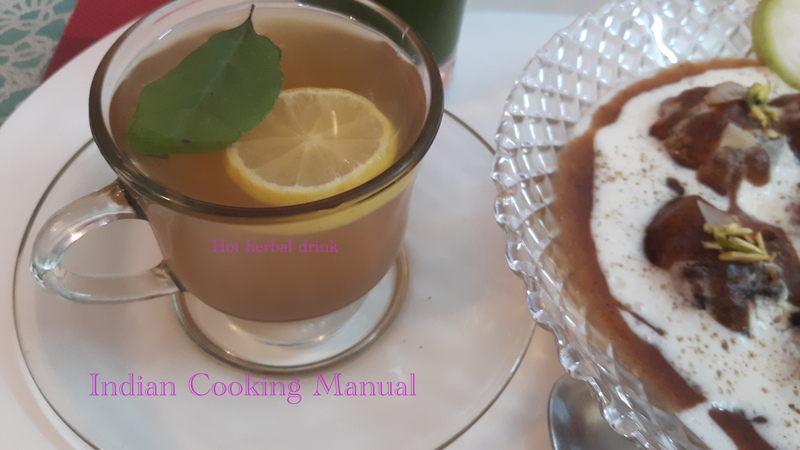 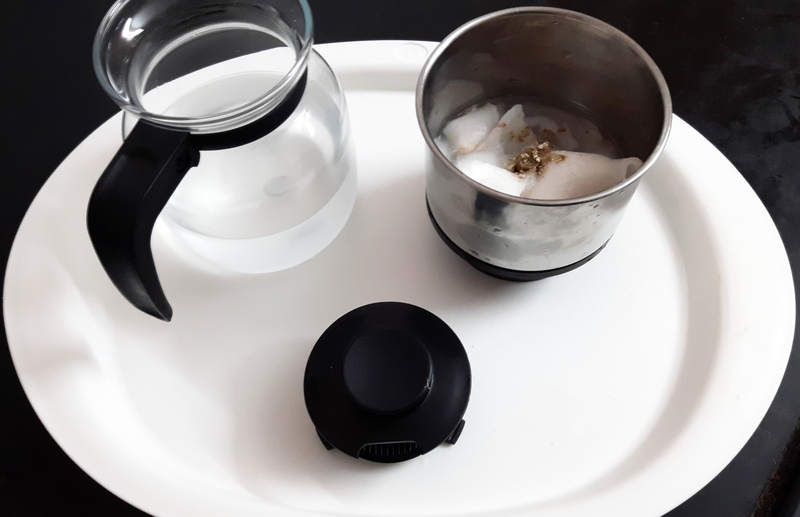 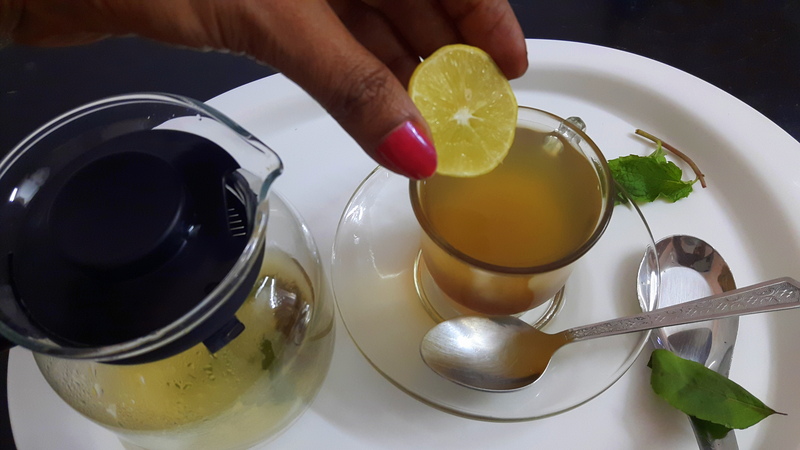 Boil the water; put all ingredients except lime and honey. 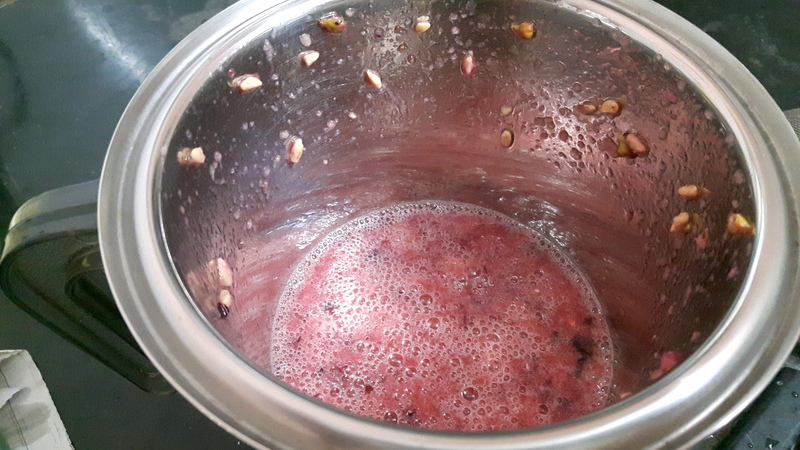 Let it boil for couple of minute, put off the flame and cover for a while. 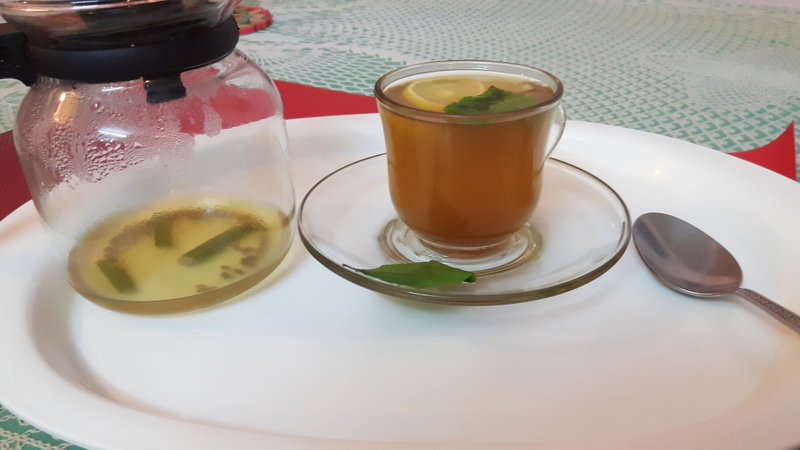 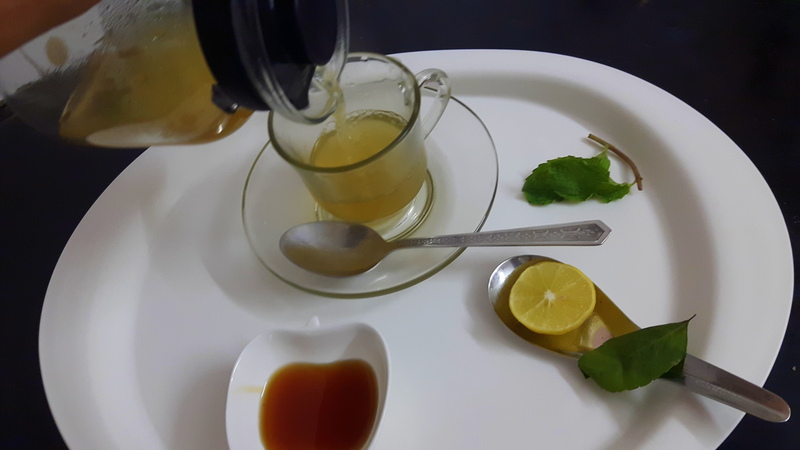 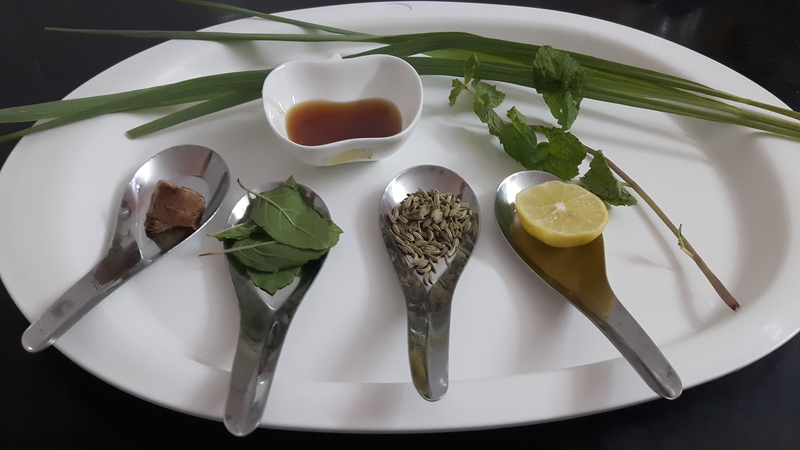 Strain and add honey and half of the lemon juice, decorate with basil leaf, serve hot.